The world’s rainforests have been described as the “lungs of the Earth” because of their oxygen production. Canada’s coastal rainforest is different from other temperate rainforests because it has more coniferous trees than deciduous trees. Our coastal rainforest is one of the wettest non-tropical areas in the world! Rainforests cover less than 10 per cent of the world’s land surface. This surface area is quite small on the global scale, but the impact of this ecosystem is great: rainforests can be some of the most productive areas on Earth. To be productive, these areas need a high rate of transformation of nutrients and energy in growth. Plants absorb carbon in the atmosphere as well as sunlight, thereby producing sugars within their leaves, a process called photosynthesis. This process releases oxygen back into the air as it removes a lot of carbon dioxide, a green house gas, from the atmosphere. The vegetation in rainforests is responsible for nearly one-third of the world’s oxygen production. Furthermore, between 40 and 75 per cent of the world’s biotic (or living) species live in the world’s rainforests making these areas rich in biodiversity. As the term ‘rainforest’ implies, high precipitation (mostly rain) rates are common to all rainforests, making them very dense and green. There are two subcategories of rainforests: tropical and temperate. Tropical rainforests are closer to the equator, while temperate rainforests are found at latitudes between the two Tropics and Polar Circles. This causes temperate rainforests to be cooler, have less precipitation, contain less biodiversity and slower decomposition (when living, or organic, matter is transformed into inorganic mater, like soil) than their tropical counterparts. Although they represent less than five per cent of all temperate forests (which include mixed forest, amongst others), temperate rainforests can be found around the world: in South America, Europe, Asia and in Australia and New Zealand. Three areas of temperate rainforest exist in North America: a small patch along the Appalachian Mountains, in the United States, the inland rainforest found in south eastern British Columbia and adjacent United States, and a much larger area that forms a narrow band along the coast of the Pacific Ocean, from Alaska to northern California. 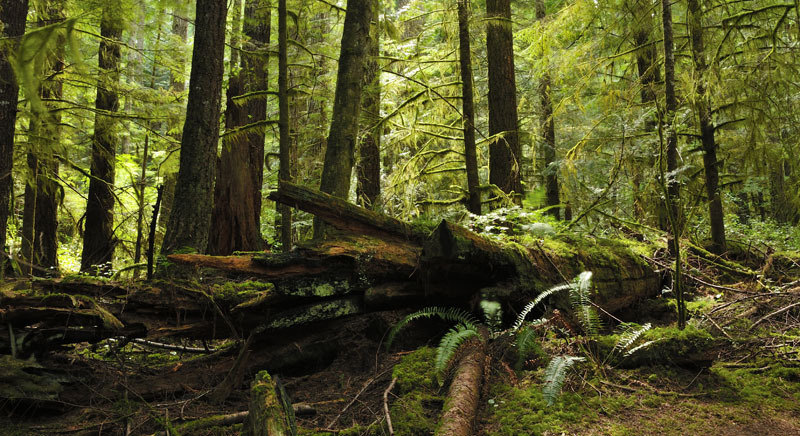 The conditions needed to maintain this last rainforest are mostly created by the presence of the Pacific Ocean, making this a coastal temperate rainforest. Approximately 74 000 km2 of this coastal forest lies in Canada, which is 1.8% of Canada’s total forest area. This means that almost half of North America’s coastal rainforest, and close to 25 per cent of the world’s temperate rainforests, can be found in British Columbia! This forest (referred to in British Columbia as the Coastal Western Hemlock biogeoclimatic – or BEC– zone) can thrive from sea level, close to the seashore, up to 900 m of elevation, where the subalpine (or the Mountain Hemlock BEC zone) forest begins. The climate is temperate year-round, with cool summers and mild winters (in wintertime, monthly mean temperature are above the freezing point and severe freezing events are rare). On the coast, humid winds caused by the warm oceanic currents cool down when they are forced upward by the Western Cordillera Mountains. 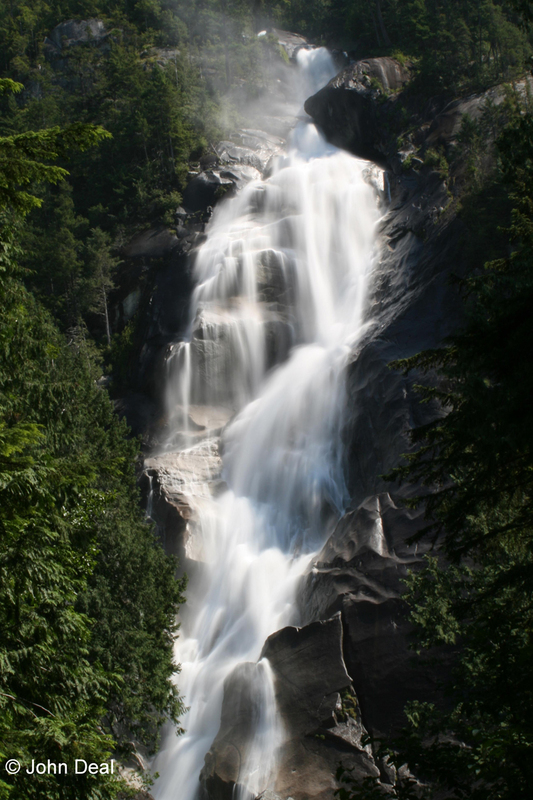 This brings 1.5 to 3.5 m of rain every year, making British Columbia’s coastal temperate rainforest amongst the wettest non-tropical areas in the world! 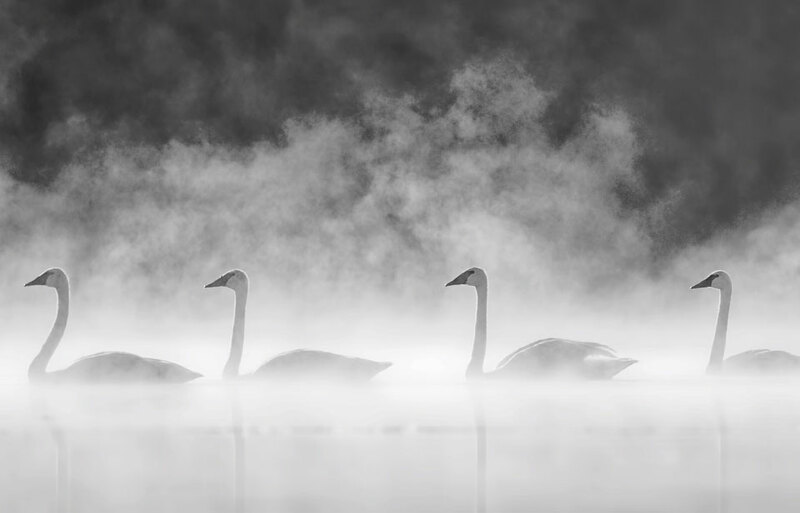 As most of the precipitation occurs in winter, some areas in the forest close to shore are kept humid during the summer by the trees which extract water from the foggy air, creating fog drips, or water that drips down from the trees. This high rainfall and humidity, combined with melted mountain snow in the spring, creates countless lakes, streams, wetlands and rivers that flow down to the sea. 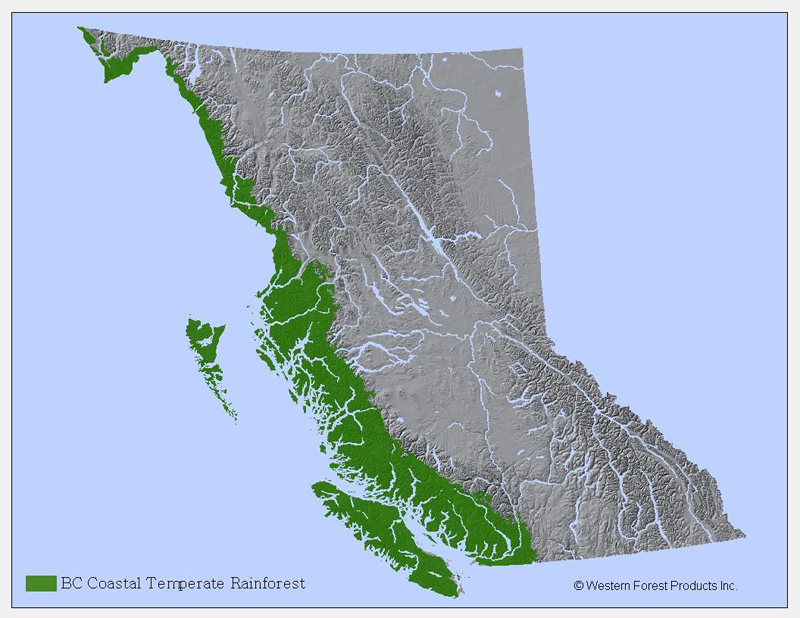 In some dryer areas on the eastern slope of Vancouver Island’s mountains, the coastal rainforest gives way to the rainshadow forest (or Coastal Douglas-fir BEC zone), which has much lower precipitation rates. In North America approximately 350 vertebrate species (including 48 species of amphibians and reptiles), hundreds of species of plants (including 25 tree species), fungi and lichens, and thousands of invertebrates and other soil organisms are found in the coastal temperate rainforest, many of which inhabit the portion of the forest located in British Columbia. Canada’s coastal rainforest is painted with countless shades of green, thanks to the hundreds of different types of vegetation found here. However, the forest is dominated by a relatively small number of tree species. 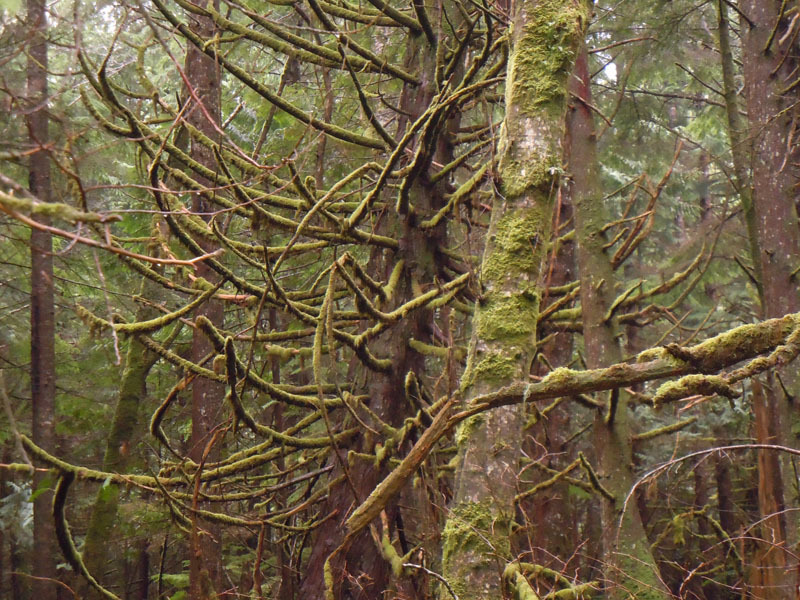 Few species of trees can grow in the coastal temperate rainforest, partly because the seeds need to be able to regenerate in the low light levels on the forest floor caused the thick canopy, and many trees are not adapted to doing this. Most of the trees found in this forest are coniferous trees - trees that have needles as leaves, such as the Western hemlock, Yellow Cedar, Western Red Cedar, Douglas-fir, Amabilis Fir and Sitka Spruce. This sets this forest apart from tropical rainforests, that often have hundreds of tree species, but also from other temperate rainforests, in which more deciduous (leafy) than coniferous trees grow. This is due to the fact that coniferous trees are well adapted to the temperatures and shorter daylight hours of the winter as they remain green and keep their foliage which helps then to photosynthesize throughout the year. The trees in our coastal rainforest often form a high canopy, and some may attain 60 to 70 m in height. But in windswept areas closer to the shore, and in bogs, most trees are shorter and gnarled. The differences in species and size of trees depend on factors like soil quality, elevation, hill slope, and exposure to wind. These trees are often covered in mosses or other bryophytes, like liverworts. Bryophytes do not have large stems or a trunk to help them grow upwards; they must grow on solid surfaces, like rocks, compact soil or wood. They also do not have flowers or seeds, relying on water or high moisture to reproduce and disperse. This is why they are plentiful in the coastal rainforest. 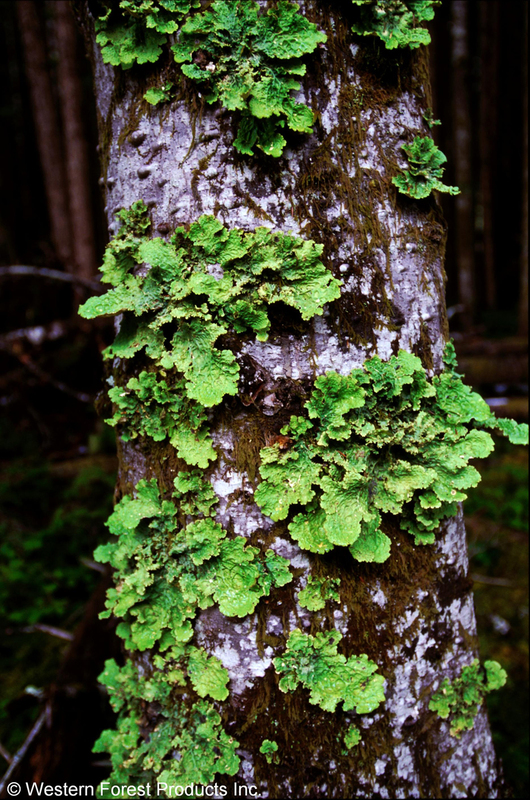 Lichens can also be found on trees and rocks in the ecosystem. The thick and uneven tree canopies that cover the coastal rainforest allow little sunlight to reach the forest floor so undergrowth must adapt accordingly. Indeed, the ground is mostly covered by plants that do not need much sunlight, like ferns, but some flowering plants, like the blueberry, Red Huckleberry and salal, can also grow in these conditions. Small trees also grow under the shade of the taller ones. In order to get sunlight, some epiphytic plants grow on bark and branches of trees, where there is more light readily available than on the forest floor. Because catastrophic natural disturbances (like wind storms, forest fires and landslides) have been uncommon, patches of forest can remain intact and become old-growth forests, with some trees as old as 1 000 years! More than half of the coastal rainforest consists of old-growth forest, with the larger trees being older than 250 years. When trees do fall or die, they leave a standing snag or log which becomes the food source of thousands of fungi and invertebrates helping to decompose dead organic matter. 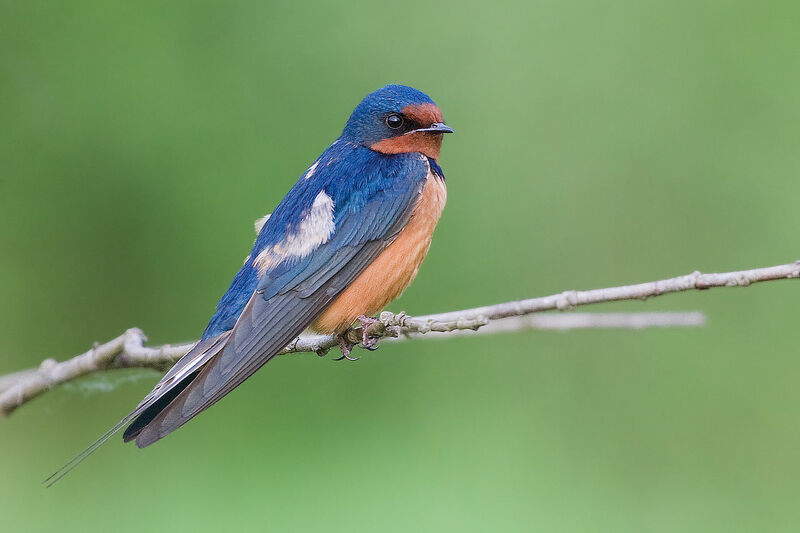 Some fallen logs –called nurse logs– may also help new seedling growth by creating elevated and moist habitat, and some snags provide cavity-dwelling birds or mammals with a home. 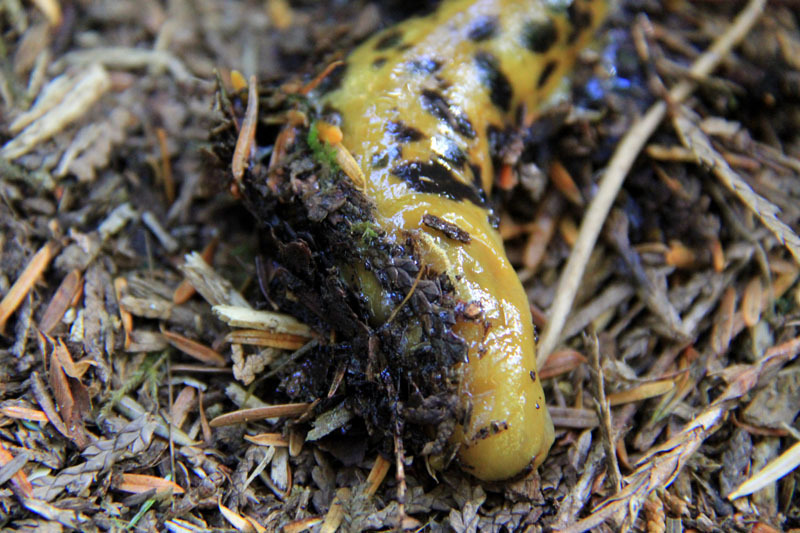 Because the decomposition is slow (at least, compared to tropical areas) and that invertebrates such as earthworms capable of mixing organic matter into the mineral soil are absent, a deep layer of decaying organic matter forms the top layer of the forest floor. Because of this lack of mixture, nutrients, like nitrogen, are scarce in the soil, and so are not readily available to plants. This is why some trees form symbiotic associations with fungi, called mycorrhiza, in their roots, in order to obtain these nutrients. Other species of fungi also make nutrients more available by decomposing organic matter directly on the woody debris. Some of these fungi fruit, becoming the many fleshy mushroom species found in this forest. As a result the coastal rainforest has a very rich diversity of mushrooms. Areas at the edges of the forest, like along lakes and rivers, and gaps left by fallen trees, can let more light shine on the forest floor. The few deciduous tree species that grow in the ecosystem are often confined to these areas and to areas that are less humid as these trees are more likely to thrive in sunlit areas. Bigleaf Maple, Red Alder and Black Cottonwood are species of deciduous trees that can be found in the coastal rainforest. It might seem unusual to have fish as species living in a forest. Nonetheless, fish, for example the five wild Pacific salmon species, like the Coho Salmon, are very important components of the coastal temperate rainforest. 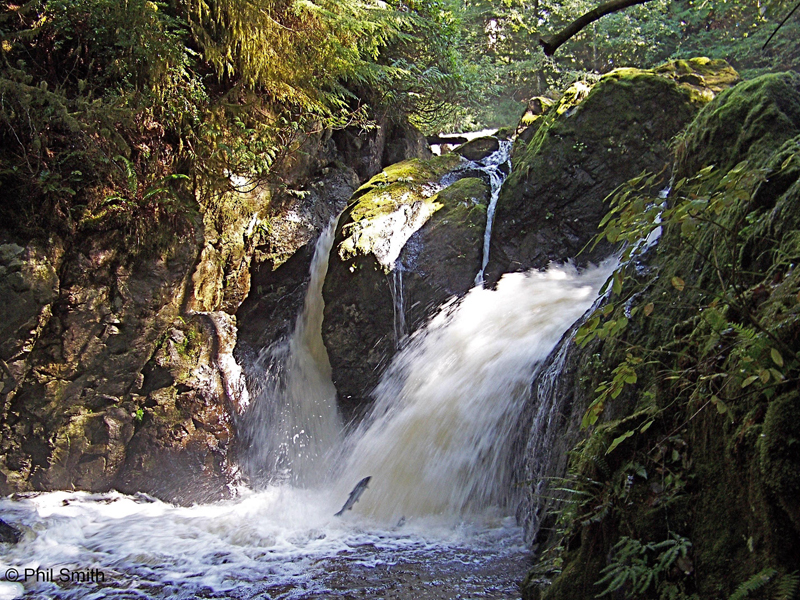 The forest sustains some of the largest remaining wild Pacific salmon runs in its rivers and streams. 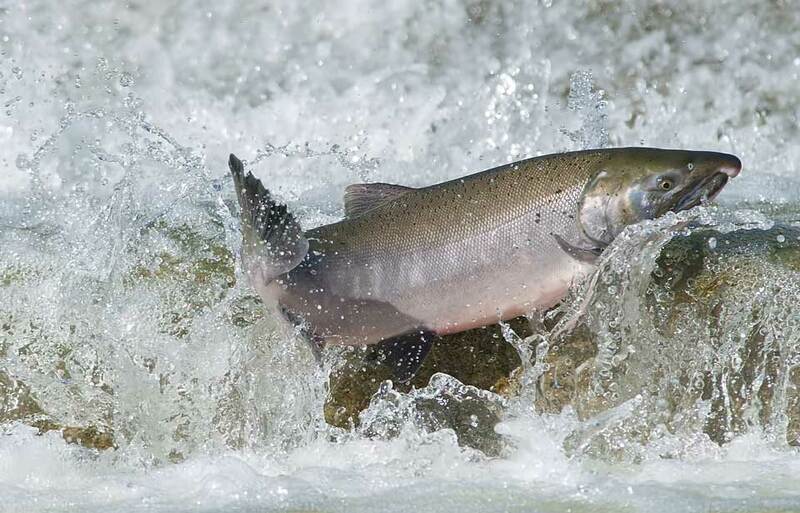 Salmon are born in freshwater and migrate down rivers to the ocean where they spend most of their adult life. 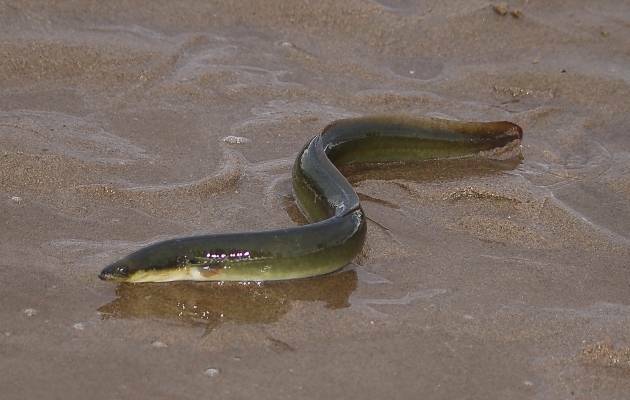 They return to freshwater to spawn and die, bringing nutrients from the ocean to the land. Carcasses of dead salmon in streams, rivers, and lakes provide fertilizers and nutrients to surrounding plants. Also, fish brought further inland by carnivores and scavengers contribute to spreading these substances to other parts of the forest. Salmon form an important food source for many species in the rainforest. Indeed, research shows that variations in salmon populations have an impact on many other animal populations. 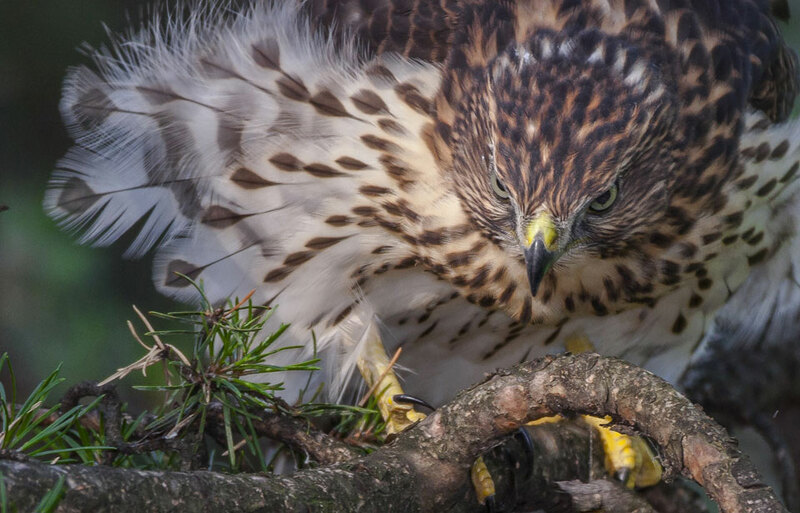 Many species of birds inhabit the coastal temperate rainforest either for the whole year or for a specific period time during the year for breeding, overwintering or migrating. 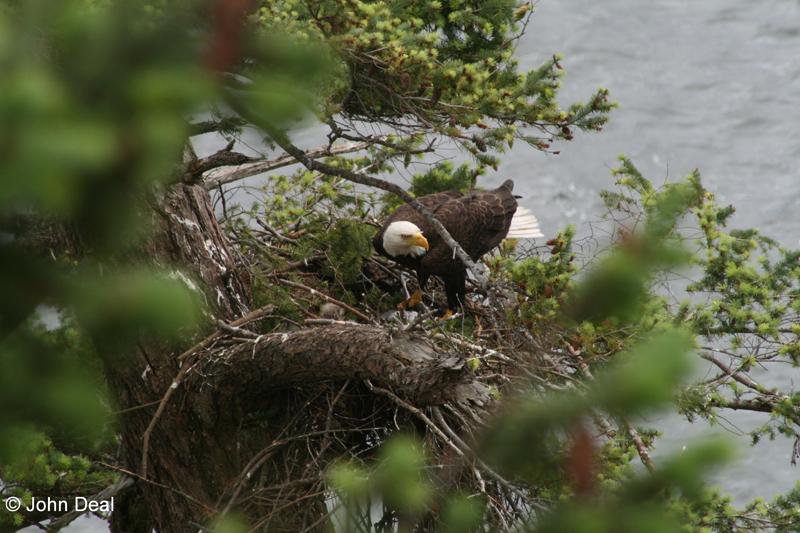 The Bald Eagle is one of the most recognizable birds of the coastal rainforest. 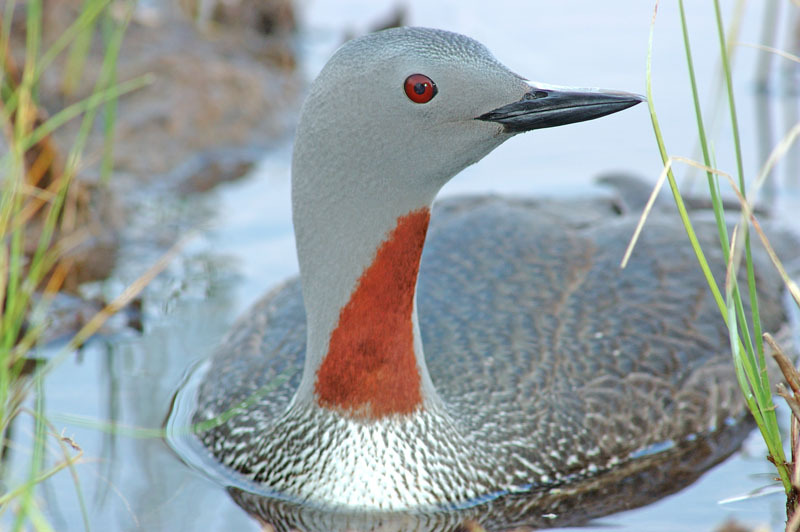 Indeed, most of the breeding Canadian population of this species is found along the coast of British Columbia. It builds its nest in the canopies of the tall trees. Since the water where they find their food does not freeze over during the winter, many individuals stay in the rainforest throughout the year. Salmon carcasses are one of the main food sources of this species, but the Bald Eagle will also feed on aquatic birds and small or young mammals (like raccoons and hares), which it may take alive or find dead. 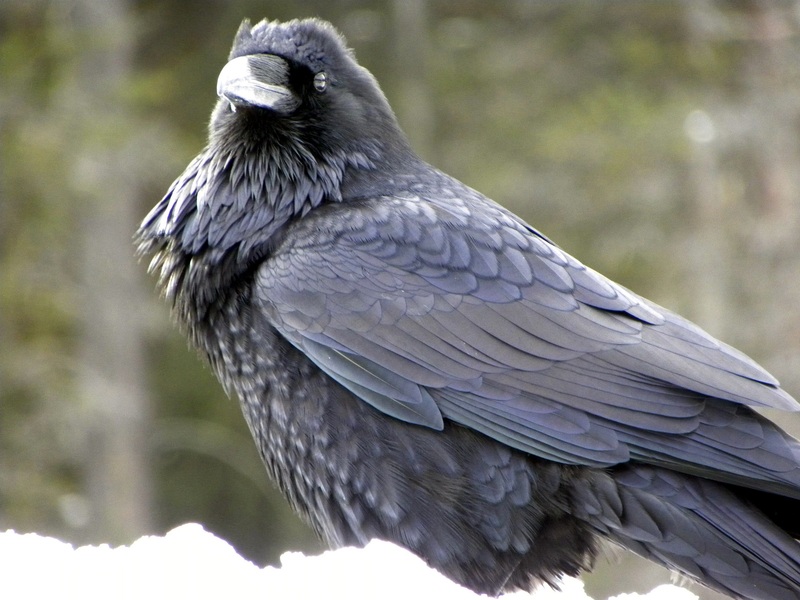 Common Ravens also live year-round in the coastal rainforest, where they are opportunistic feeders. 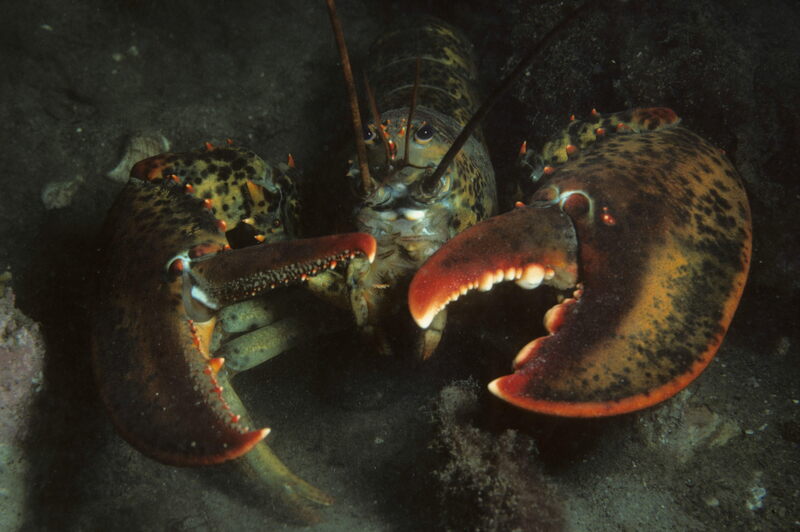 They can eat a variety of foods by scavenging or hunting in nests, in inter-tidal pools, etc. 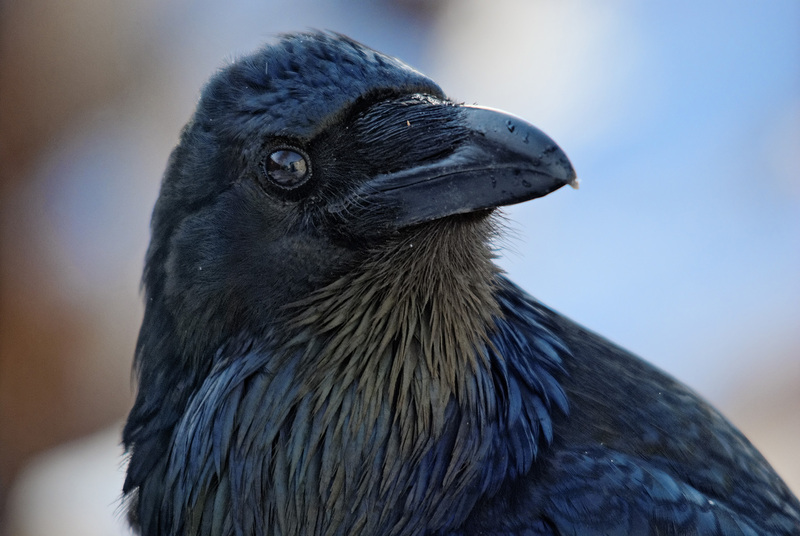 Ravens are responsible for a part of the scattering of oceanic nutrients in the forest by moving salmon remains from the water sources further inland. 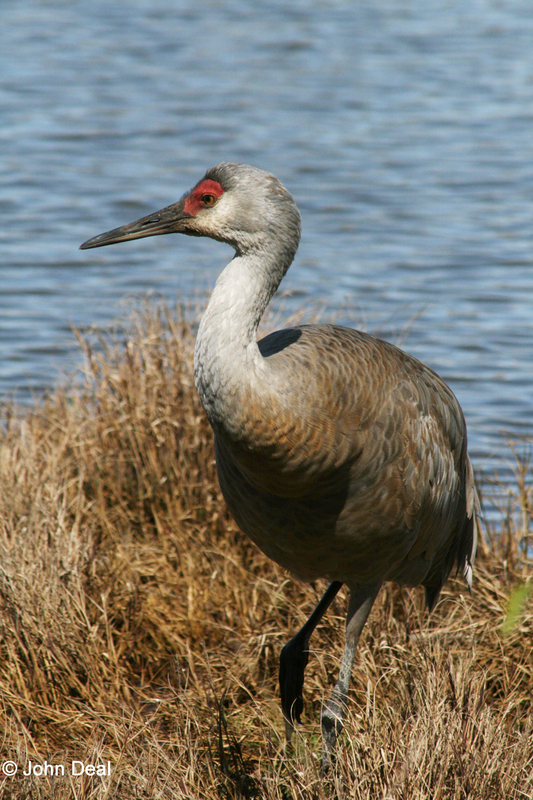 Sandhill Cranes only spend their breeding season in the rainforest, but in the shorter, more isolated trees of poorly drained bogs or peats where they are protected from predators. 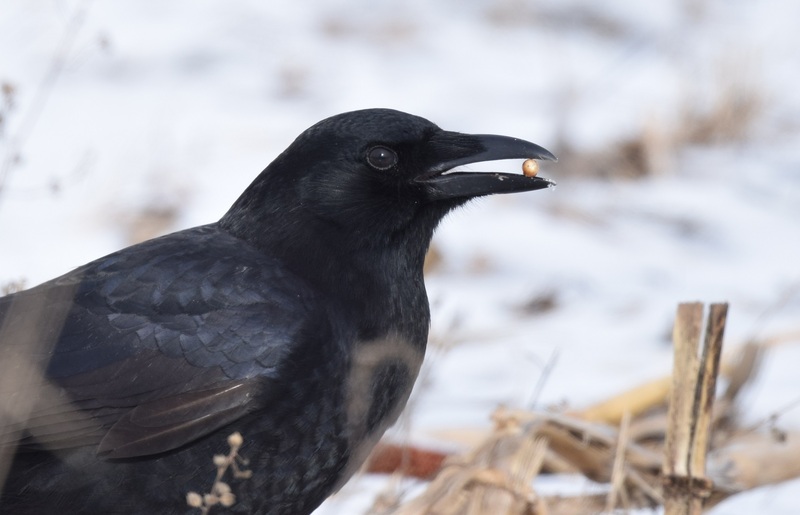 They are opportunistic foragers that will feed on a variety of foods, like plants, grains, mice, snakes, insects and other invertebrates found in the wetland surrounding their nest. 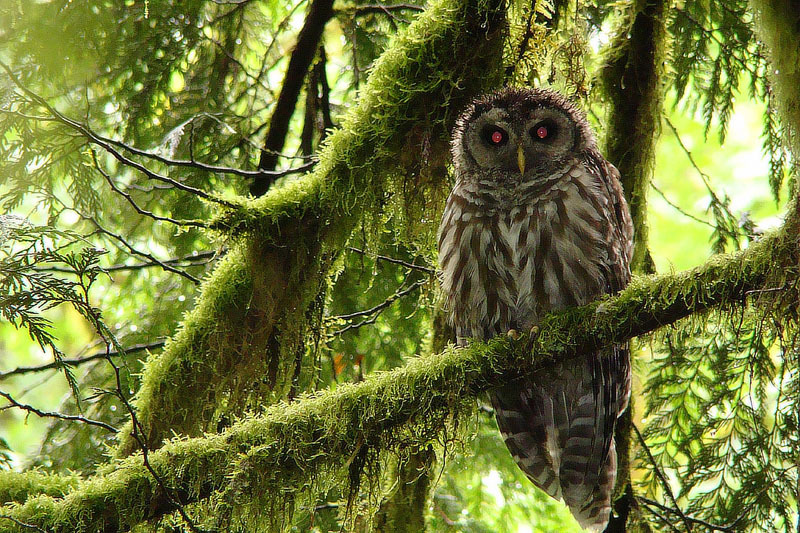 The Northern Saw-whet Owl of the brooksi subspecies is found only in a few islands of the Haida Gwaii archipelago, a series of islands off the North Coast of British Columbia, and is not a migratory species. 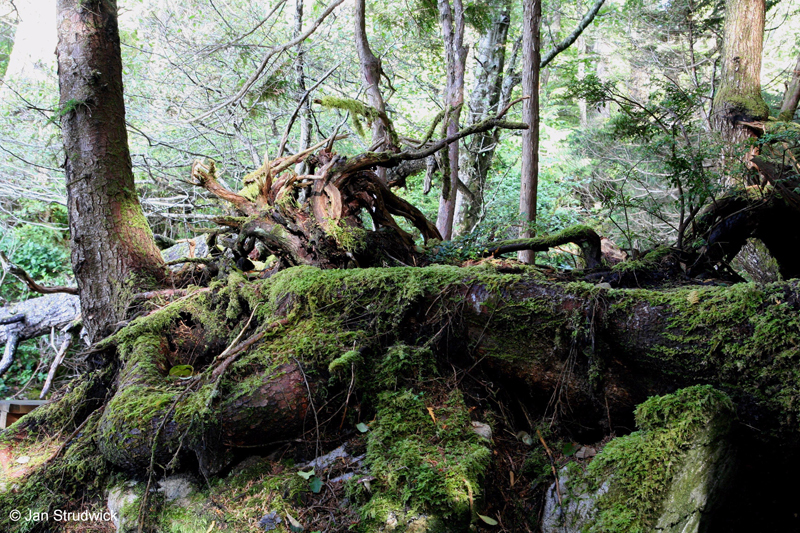 The breeding habitat preferred by the species appears to be mature and old-growth forest. It lives in snags and pre-existing cavities in dead wood. It is listed as a species at risk in Canada under the Species at Risk Act (SARA), with an Endangered status. 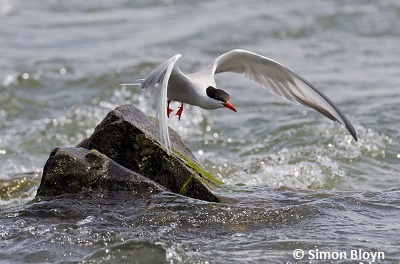 Because of the coastal rainforest’s proximity of the ocean, even marine birds find suitable nesting areas in the coastal rainforest. The Marbled Murrelet is such a bird. 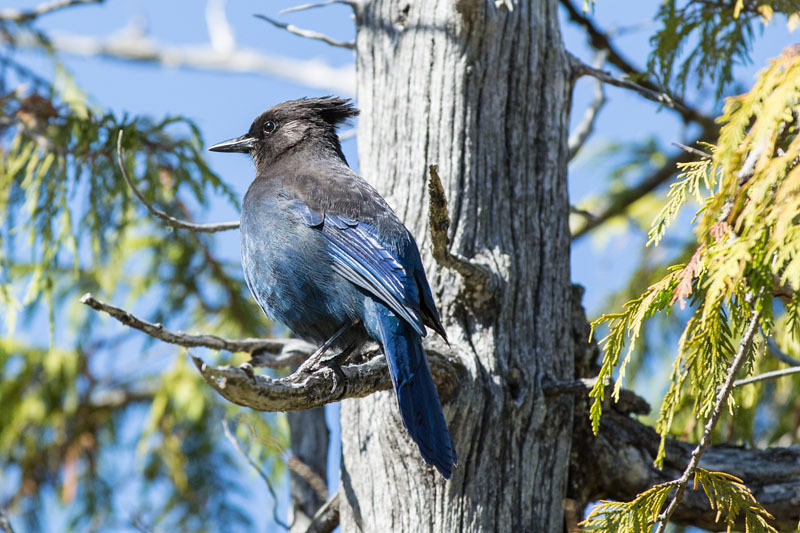 It nests in old growth trees in almost total obscurity, although people who fish and boat along the British Columbia coast during spring and summer (when the birds are nesting) often see them out on the water where they are feeding. The Marbled Murrelet comes ashore only during the breeding season, to lay and incubate one egg and secretively returns to feed the nestling only once a day just prior to daybreak. Its brown plumage is good camouflage and makes it hard to spot, so the darkness of the rainforest is ideal for nesting. 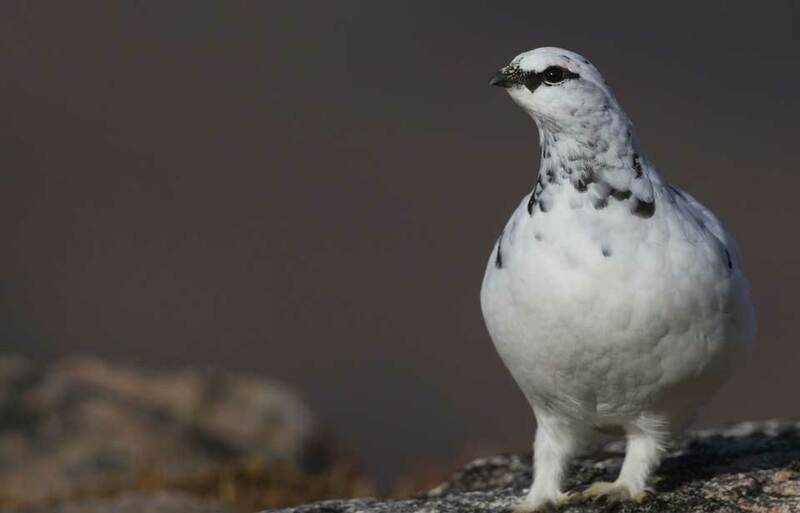 This bird is listed as threatened in Canada under SARA. 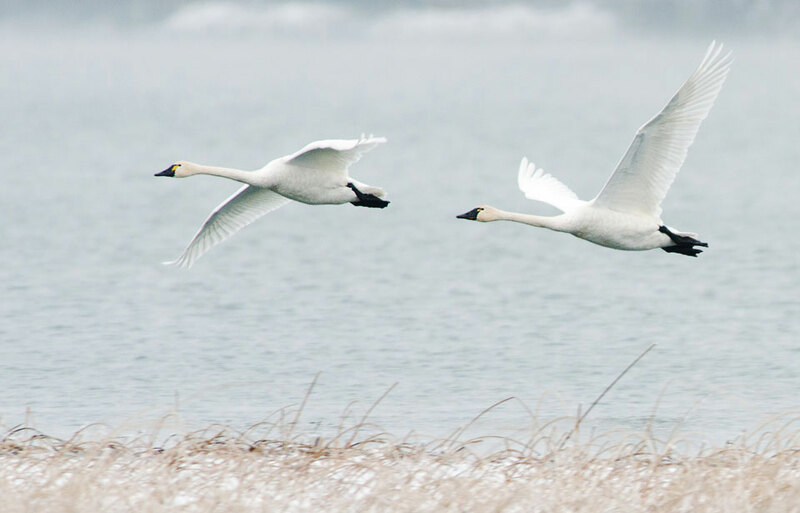 Trumpeter Swans, Harlequin Ducks and other waterfowl spend winter in sheltered estuaries and inlets bordering the rainforest. 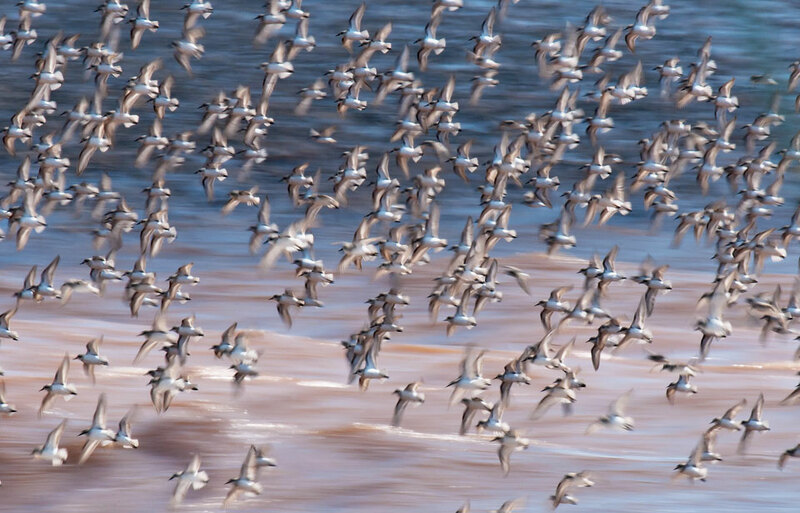 Other species of migratory shorebirds, geese and ducks also spend time in these estuaries during their migration. The rainforest provides the perfect habitat for small mammals, like voles and martens, as it has plenty of good hiding spots to keep them safe from predators. Some large herbivores, like Black-tailed Deer, can be found throughout the year in the coastal rainforest, although some only migrate down the mountains to the forest when winter comes. 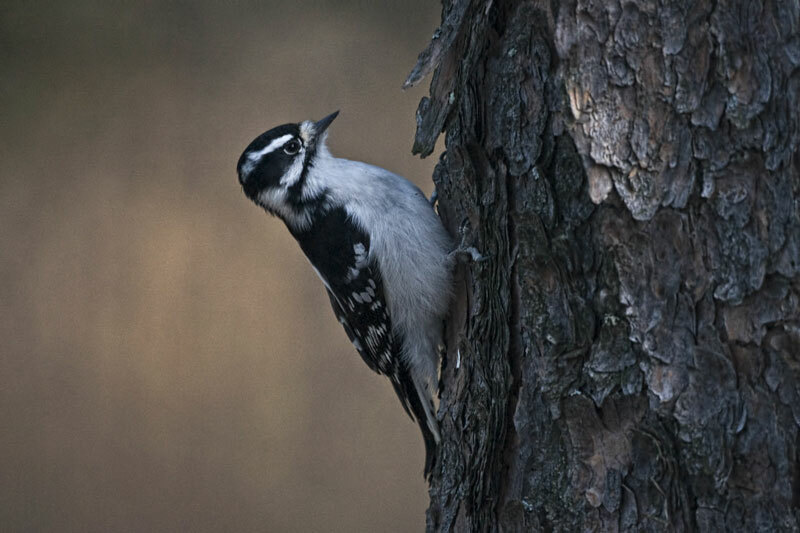 They survive through the winter by eating coniferous foliage and lichens. The forest also supports large carnivores that hunt for their prey using the shade of trees for cover. The solitary Grizzly Bear is one of the most feared and misunderstood mammals in Canada. 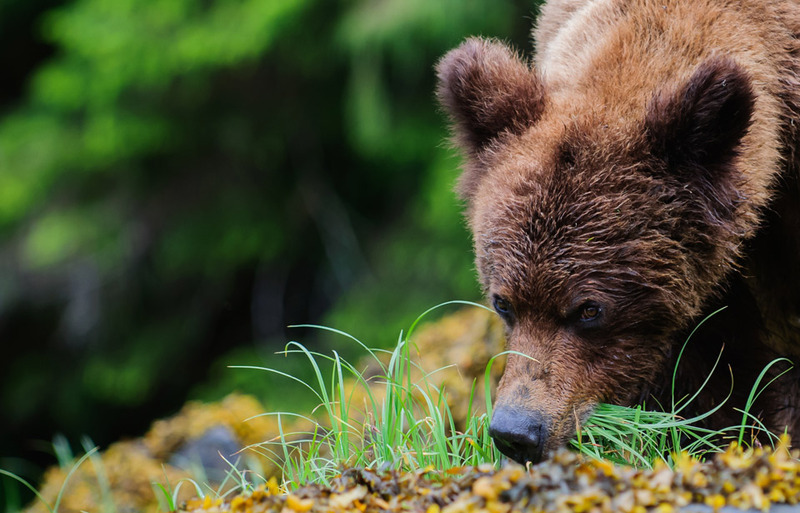 Although it is often thought of as a meat-eater, the grizzly is generally omnivorous, eating a wide range of foods. On the whole they rely on vegetation as their main food source, plants making up 80 to 90 per cent of their diet. They supplement this with meat including deer and migrating salmon. They have developed quite a technique to fish the salmon out of rivers using their paws and can eat as much as 10 kg of salmon per day during the fall. Via their urine and feces, grizzlies disperse the seeds of berries and plants they feed on and some nutrients derived from their fish diet. 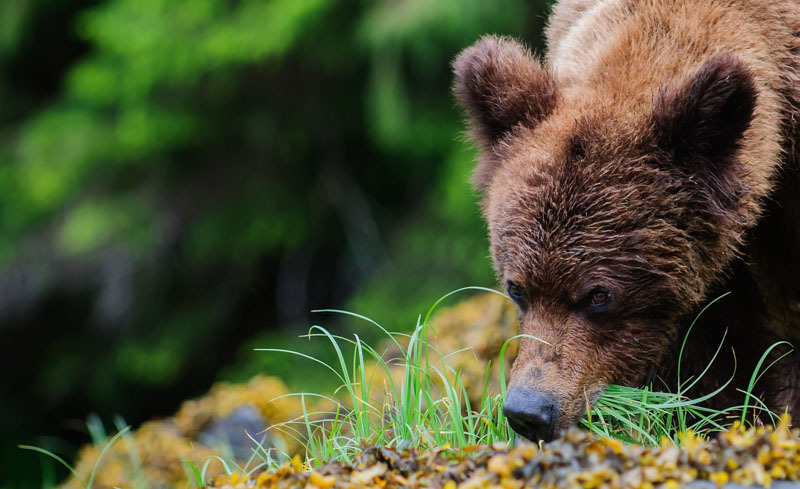 Grizzlies are messy eaters – they’ll often eat only the most nutritious organs and leave bits of salmon behind, perfect for scavengers to eat. 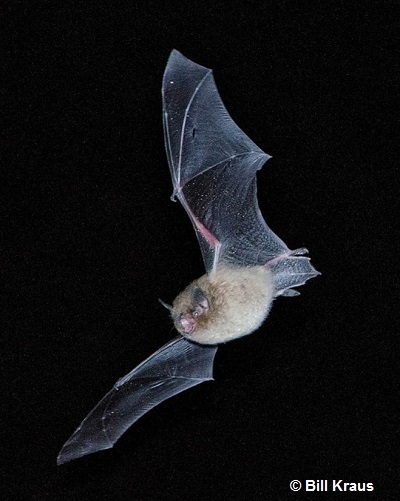 They often locate their winter dens for hibernation in the bases of huge hollow trees and in preexisting ground cavities. The American Black Bear is a more common bear species that inhabits the rainforest. 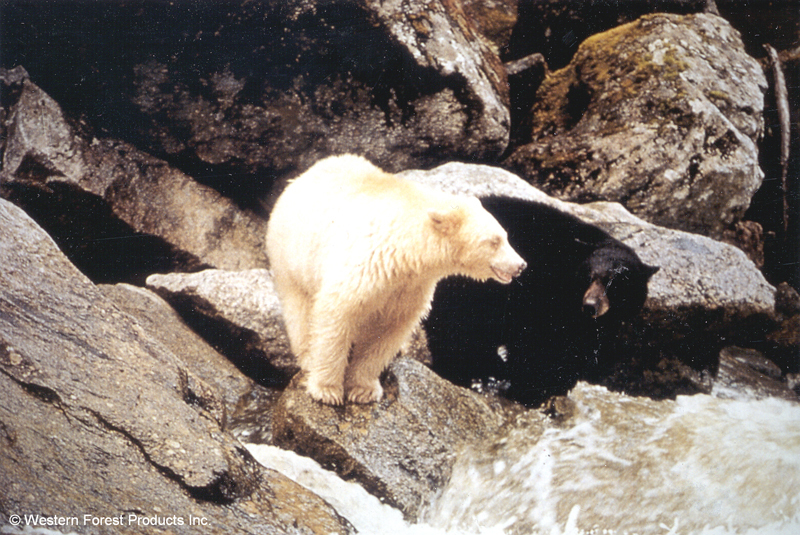 One of the most recognized animals from the coastal rainforest ecosystem is a white variety of black bear called the “Kermode” or “Spirit” bear. These bears are much more frequent on a few islands off the coast of British Columbia than anywhere else. Their unusual colour is inherited from their parents and is caused by recessive genes. It appears only when two copies of this recessive gene coding for a white colouring are present in the bear’s genome, so even on those specific islands, it remains a rare trait. About 10 per cent of the black bears present in these areas are white, for a total of about 500 bears. 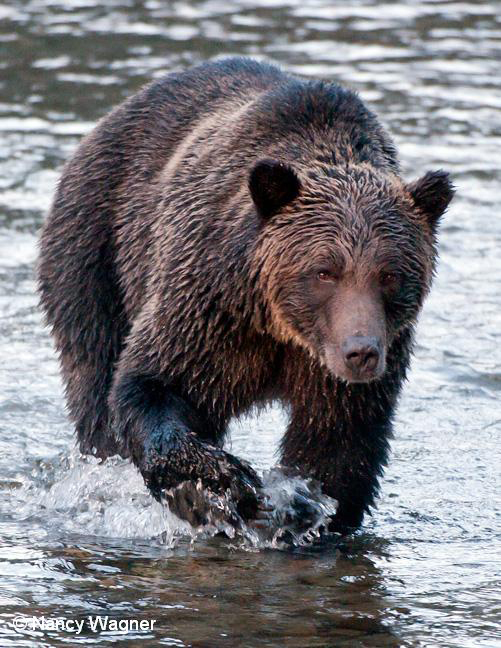 These bears are omnivores but are also big consumers of salmon. 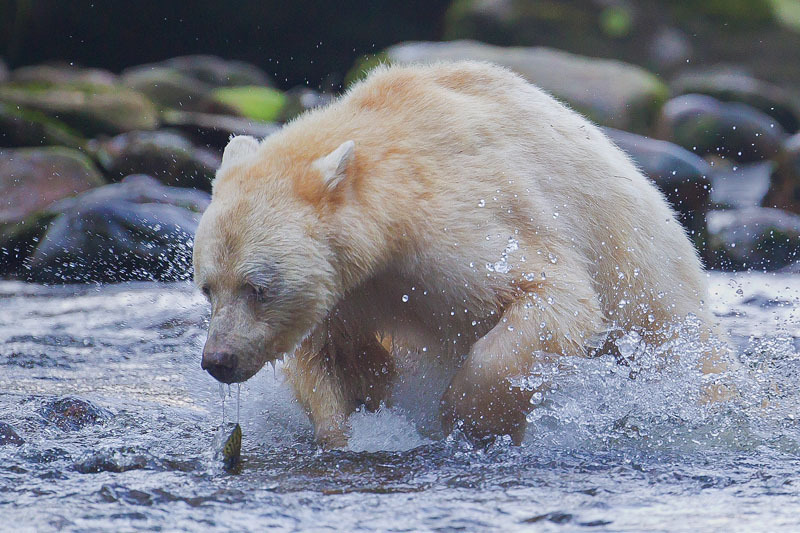 Indeed, research indicates that this white colouring might actually help to fish salmon, as the bears may not be as visible to the fish. The absence of grizzly bears, one of the black bear’s predators, on the islands where the Kermode bear lives has also likely helped white bears to become more common, as they can survive while being less camouflaged (the white colouring makes them probably more visible on land). Grey Wolf packs also call the coastal rainforest home, at least during the fall and winter months, when some come down from the mountains. They usually feed on large herbivores, like deer, but on the coast, wolves are known to eat salmon and other marine prey during the fall, making them different from other grey wolf populations. Coastal Grey Wolves are commonly found around estuaries and rivers where both salmon and deer are readily available. The rainforest is home to several species of amphibians like the Clouded Salamander, the Pacific Chorus Frog, Red-legged Frog and the Pacific Tailed Frog, the last two frog species being listed as of Special Concern under SARA. 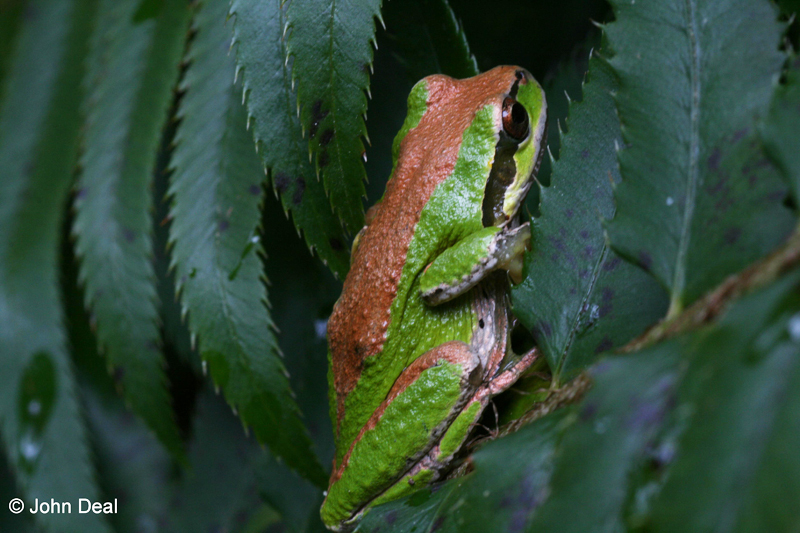 The frogs and salamanders can find many freshwater wetlands, rivers and streams to reproduce and the ambient humidity makes the rainforest an ideal habitat. 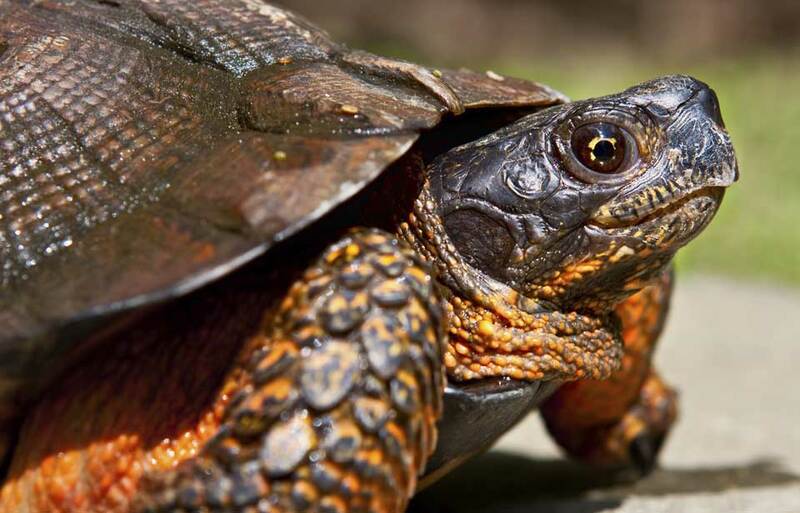 Reptiles are uncommon in the rainforest, as many require more heat from sunlight and drier conditions. The vast majority of wildlife species found in the coastal rainforest are bacteria, fungi and invertebrates, like insects, spiders, centipedes and slugs. They contribute to the decomposition of organic matter into soil, and are very important to the ecosystem. 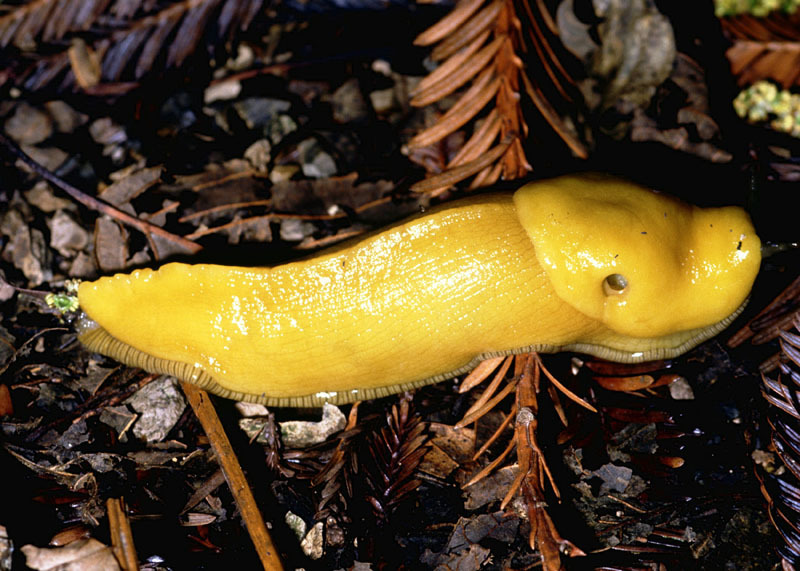 One of the most recognizable species is the Banana Slug, which is often bright yellowish green. Some of the rainforest’s invertebrates are species at risk, like the Threatened Dromedary Jumping-slug. The coastal rainforest is home to many species at risk, from mosses and ferns to big mammals. Some of these species are endemic, or can be found only in the area. This, of course, may make them particularly vulnerable to threats. 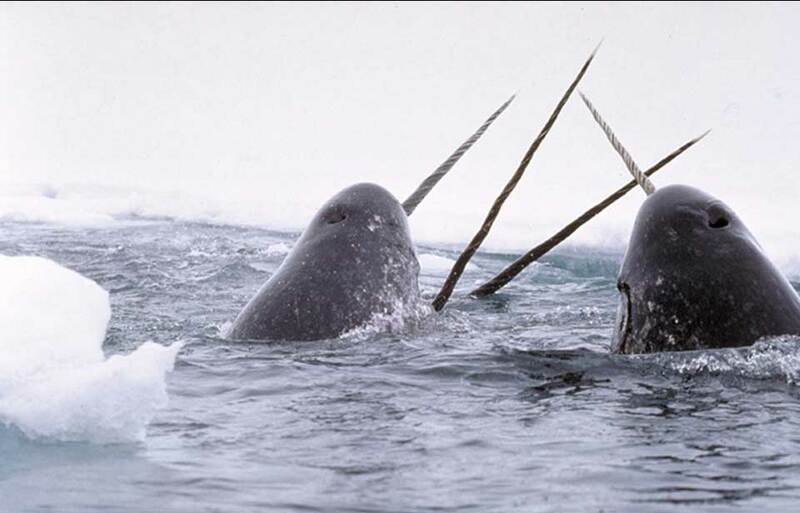 There are many threats which may have caused these species to be listed under SARA as being at some level of risk, either Special Concern, Threatened, Endangered or Extirpated (a species that has become extinct from the wild in Canada but exists elsewhere), or to have been assessed by COSEWIC as such. 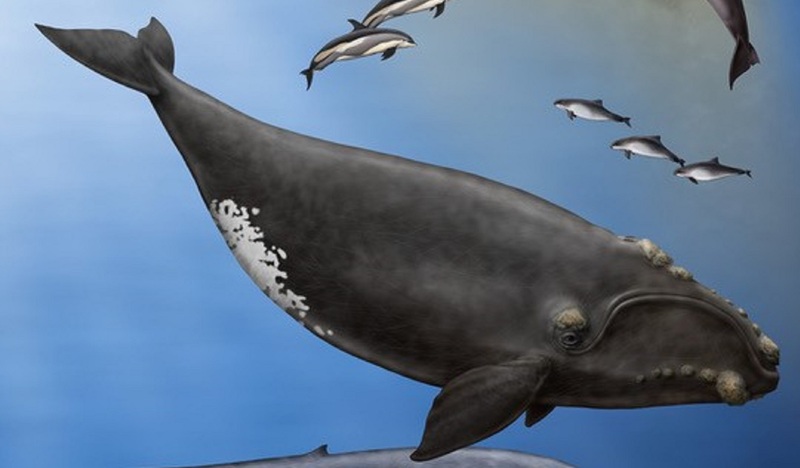 When a species becomes at risk, the entire ecosystem may suffer. Every species in the coastal rainforest has a role and function that may be very specific, so the whole system could become vulnerable. While much of Canada’s coastal temperate rainforest is protected, habitat loss and degradation are still the forest’s main threats. This can be due to forestry practices, urbanization or land conversion to agriculture. Also, when a patch of forest is divided by some of these threats, the habitat of some species becomes fragmented, which can cause more issues. About 30 per cent of the coastal rainforest has been logged and reforested and two per cent has been converted to agriculture and urban areas. 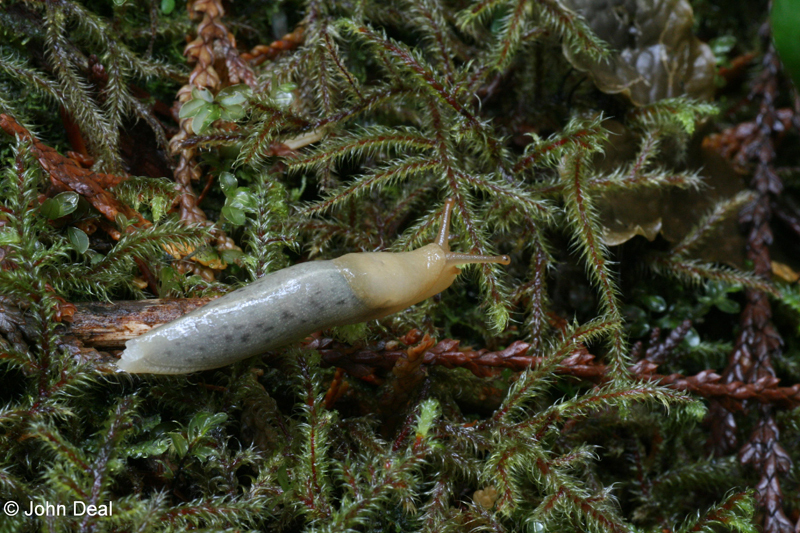 Forest management practices such as harvesting and silviculture could have an impact on some rainforest inhabitants including specialized species like the Oldgrowth Specklebelly which is endemic to certain types of coastal rainforest. Reforestation after a clear cut creates a community of trees that are all the same age and may create an area that is suitable only for a limited number of wildlife species. Unless a variety of trees of different species, ages and sizes can be maintained, uniform reforestation may cause some species’ population to decrease. Erosion and the presence of sediment in the water, which may be caused by logging, land clearing, road construction and maintenance, agriculture and other developments has also been an issue. Some fish need cool and clear waters to live in, so changes in water quality can become a threat. 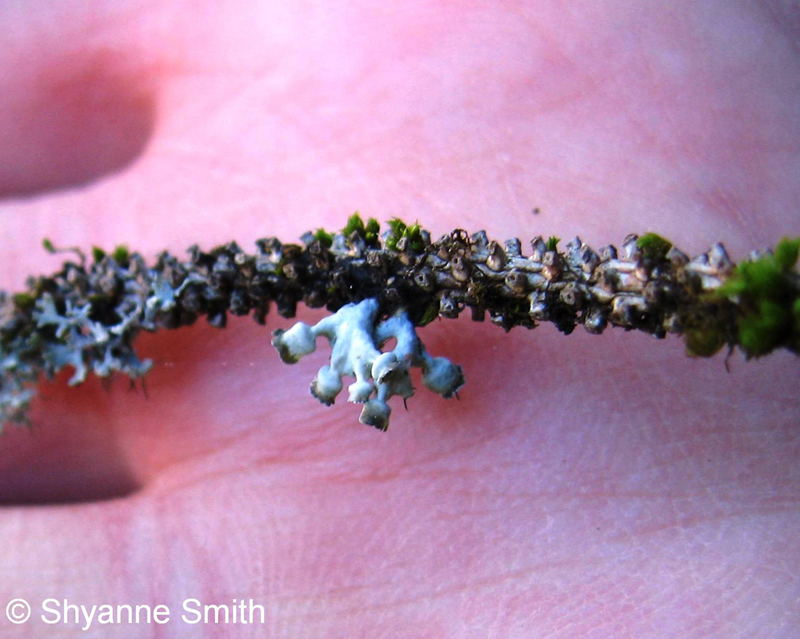 In some areas where the forest has given way to lawns, houses, industries and streets, the habitat becomes unsuitable for most rainforest species, like the Seaside Centipede Lichen. This can be an issue for species that only thrive in specific habitat types. Climate change is also a threat to the forest. Changes in ambient temperatures and precipitation will likely bring an increase in intensity and number of storms, insect outbreaks, forest fires and drought. 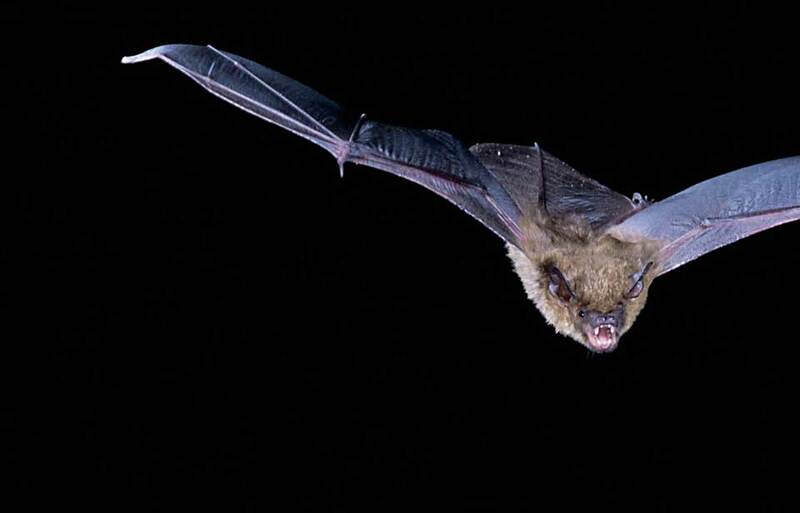 These impacts could be detrimental to the vegetation and streams of the rainforest. For example, a decrease in the humidity because of drought could be an issue, as most inhabitants of the rainforest are adapted to life in an area with high moisture. The introduction of alien and invasive species in the rainforest is an issue for some of the species at risk or the ecosystem. A fungus called the White Pine Blister, that targets coniferous tree seedlings, has severely altered the forest structure in some areas. Some exotic and invasive plants, like Himilayan Blackberry, the English Ivy, Scotch Broom and knotweed are also potential threats. If species are introduced on islands, the threat they represent can become even greater, as most indigenous species cannot move away. 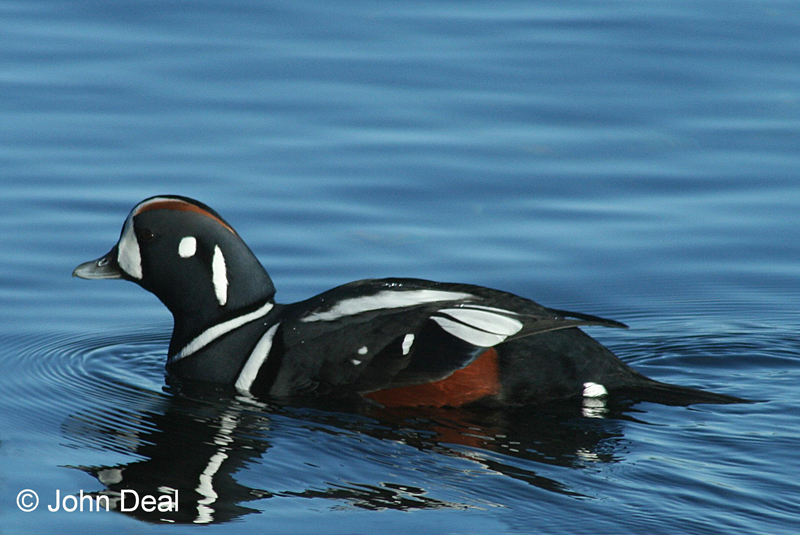 Such is the case of the Ancient Murrelet. 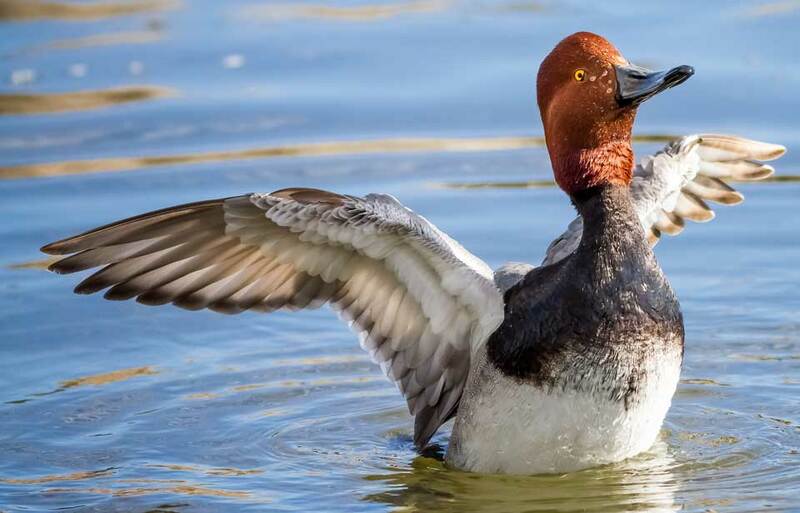 These marine birds are being hunted at their nesting sites by introduced predators, like rats and raccoons, and their populations have not adapted to this pressure. 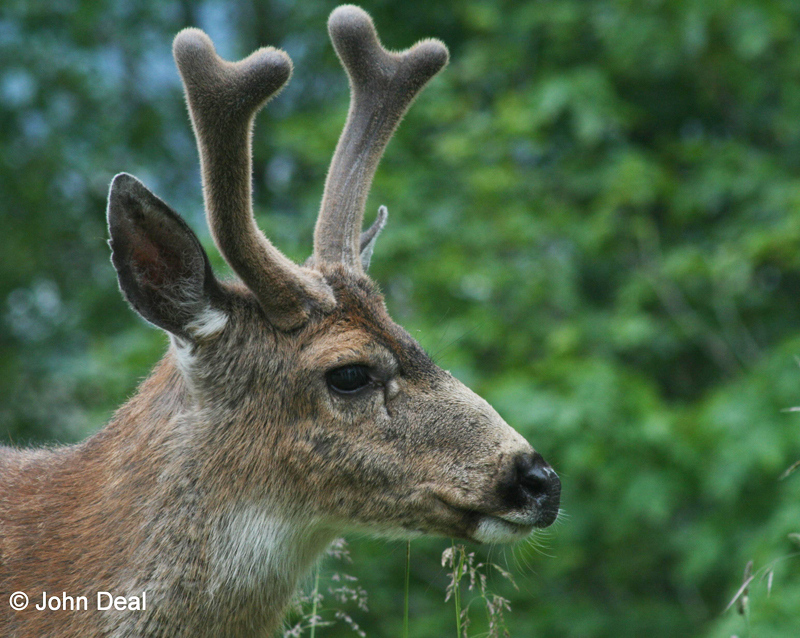 Another example of species introduced on islands is deer in the Haida Gwaii archipelago. These grazers have been affecting the undergrowth and threatening the regeneration of cedar, therefore modifying the ecosystem. For the indigenous salmon species, climate change, siltation and alien species are not the only threats. 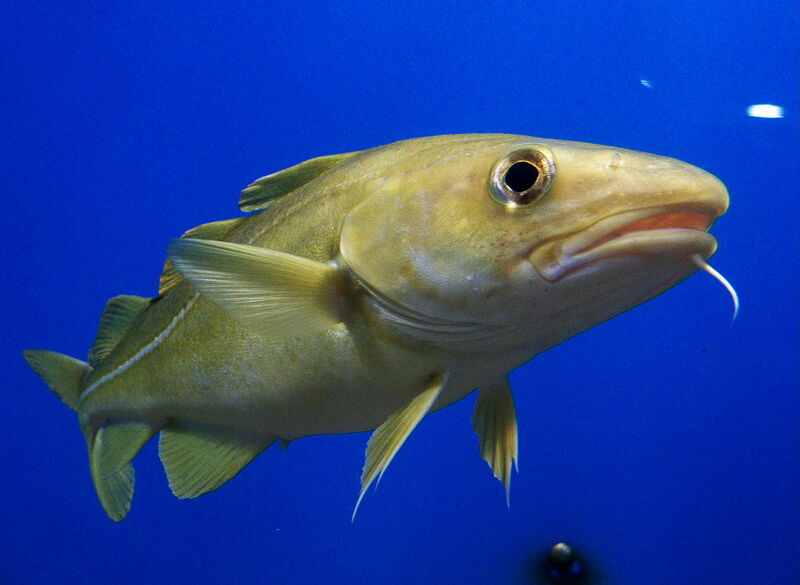 Overfishing by commercial fisheries has also caused a strain on some species. Escaped Atlantic Salmon from fish farms could also become a threat. And as salmon are the staple food source for many rainforest inhabitants, a decline in salmon populations could have some effects on the ecosystem. The coastal rainforest is very important to humans. 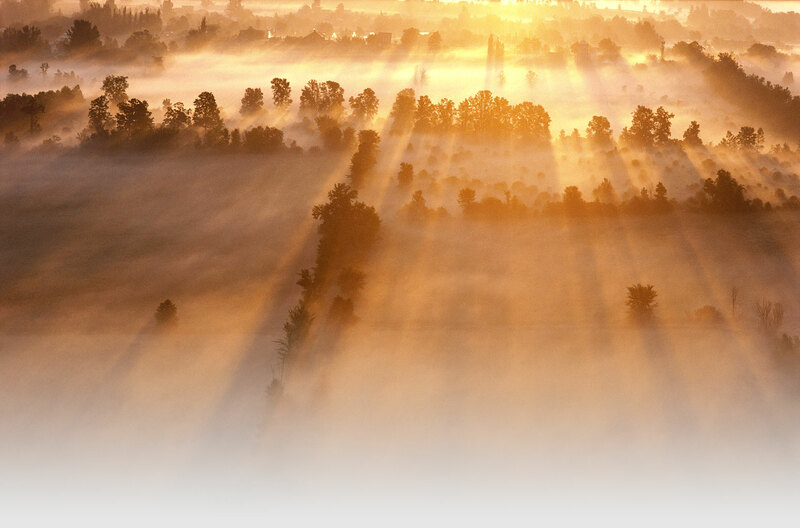 For example, the forest is of critical importance for the way of life and culture of its First Nations inhabitants. We need some of its resources, like timber, to build our homes and make paper products. We also enjoy the rainforest for hiking, fishing, camping and observing wildlife. Some of the species of plants found in the rainforest even have medicinal qualities. 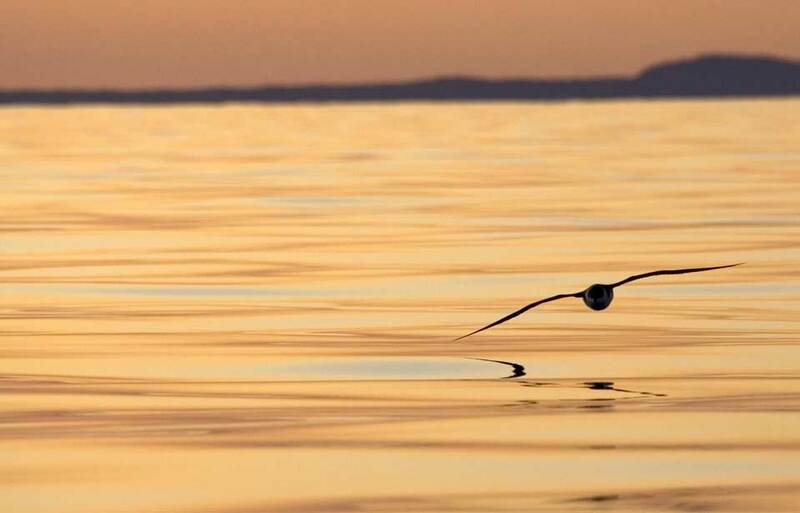 For these reasons, and because of the hundreds of species it hosts, it is essential to maintain this important ecosystem. Approximately 19 per cent of the Pacific Maritime Ecozone, which encompasses the coastal rainforest, as well as rainshadow and subalpine forests and tundra, is protected either by the Province of British Columbia or by the Government of Canada. 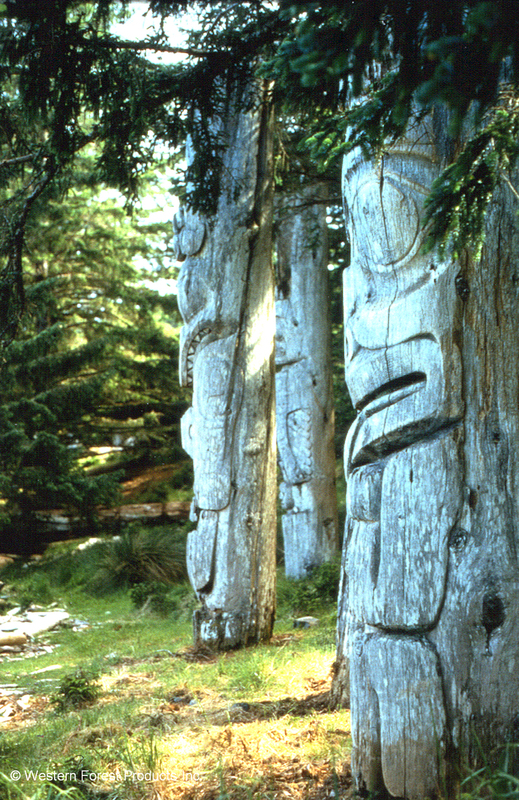 Some of the forest is protected by national parks, like Gwaii Haanas and Pacific Rim, and provincial parks, like Cape Scott and Brooks Peninsula. 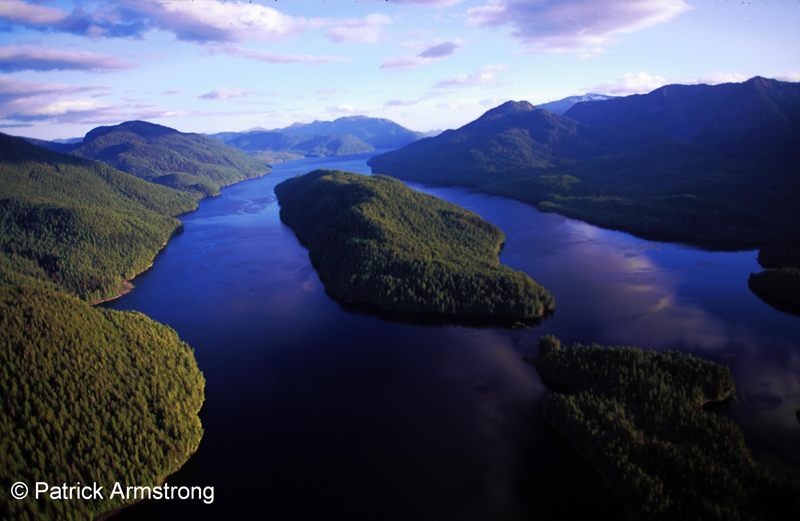 Other organizations, alongside First Nation communities, have also worked together to protect some of the rainforest: the protected Great Bear Rainforest in British Columbia is the largest intact, coastal temperate rainforest left in the world, with an area of 64 000 km2. 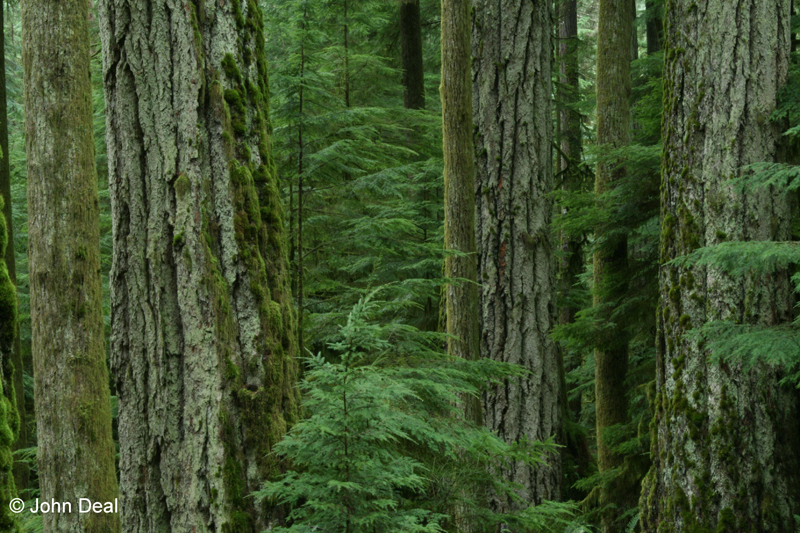 Outside of protected land, much of the 55 per cent of old-growth forests are not zoned for forestry, which means these patches are unlikely to be altered. Indeed, the northern and central British Columbia coasts, along with the Haida Gwaii archipelago, have the highest percent protected areas, and the highest percent old-growth forest anywhere in Canada. Even in areas that are accessible to the forestry industry, management practices are ecosystem-based to maintain biodiversity, structure and functions of the forest. This means that while continuing to rely on the forest for resources, cuts aim to leave the forest with the least possible disturbance. Land use planning and management of the rainforest’s resources must recognize and honour First Nations Title and Rights to the land. First Nations have been relying on the rainforest for generations, and are very active in conserving it. 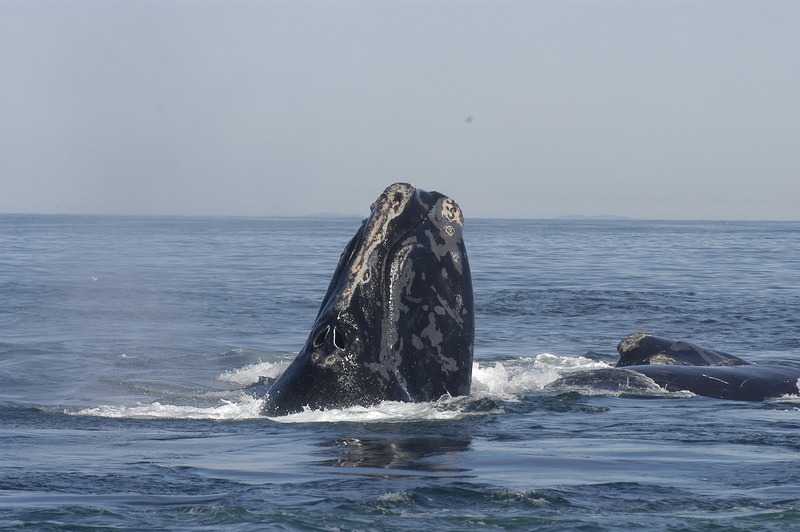 Species listed in Schedule 1 of the Species at Risk Act (SARA) are afforded protected under the Act. 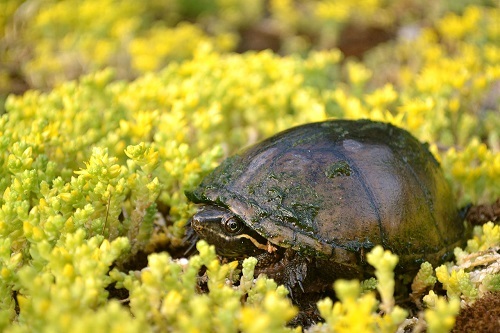 For more information, please consult the SARA and You section on the Species at Risk Public Registry. Researchers, First Nations officials, volunteers and representatives from the fishing industry have been working together to ensure that the Pacific salmon stock remains diverse and healthy. Also, the federal Fisheries Act provides the authority for the management and regulation of fish and fish habitat. In the future, it will be very important to continue monitoring and adapting forestry and fishery practices, and ensuring that the principles of ecosystem-based management are being followed. This is the best way to make sure that coastal temperate forest remains healthy. 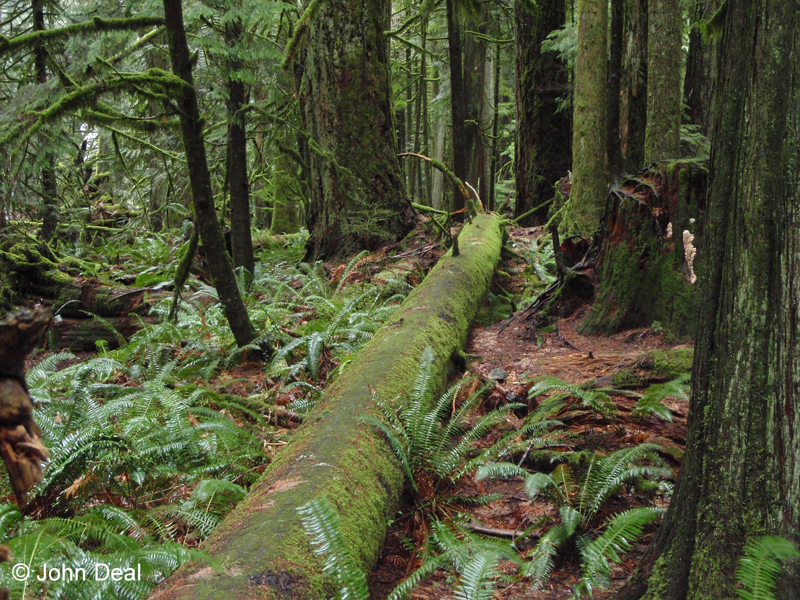 There are easy things that anyone can do to help conserve Canada’s coastal rainforest! 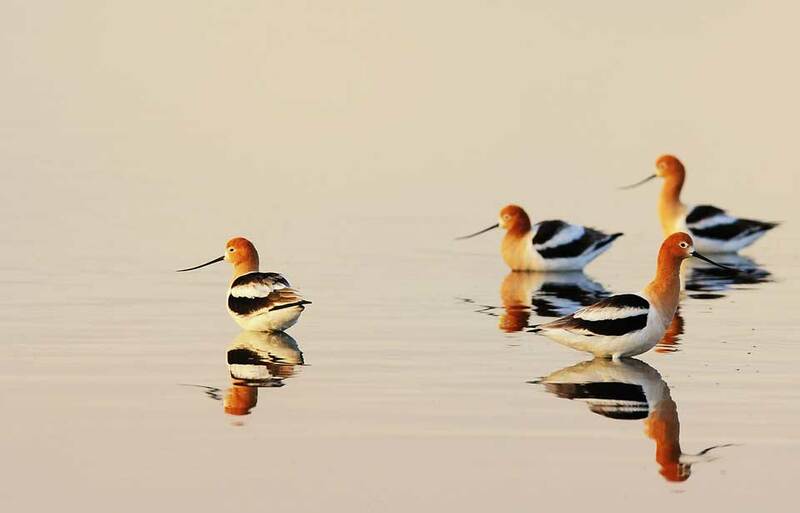 Observe wildlife at a distance and take only photographs and memories home with you! © Her Majesty the Queen in Right of Canada, represented by the Minister of the Environment, 2011. All rights reserved.